I am a very vocal music creators’ rights advocate and copyright purist. Often, I have the opportunity to share my *opinions* on topics within and circling the music industry that impact the ways in which music creators — especially DIY musicians — navigate and thrive in the United States. Over the last ten months I have been especially vocal about the Music Modernization Act. I’ve been quoted in Billboard, Rolling Stone, Pitchfork and Digital Media News. I’ve been invited to panel discussions at music industry conferences and keynotes at universities. And I have written several think pieces (and rants) on the bill, which is now law, and related issues. Still, I am asked what my thoughts are on the MMA. I’ll summarize my thoughts by saying that I believe the intent of the MMA is good and admirable on its surface — that is, to improve the way rightsholders are accounted to and paid for the use of their music. I believe there is some good stuff in the MMA; particularly, the entirety of Title 2 (The CLASSICS Act) and Title 3 (The AMP Act). However, I feel that there is still work to be done. I also feel that some compromises, at the expense of DIY music creators, were made too easily (this is partially based on private discussions that I’ve had with individuals with privileged knowledge of the negotiations and dealings that took place during the drafting and subsequent amending of the MMA). That being said, I also believe that the soon to be formed Mechanical Licensing Collective has the opportunity to prove to songwriters that this law was truly about them. Where do you stand on the MMA? If you work in the music industry and own a radio, TV, smartphone, or computer then you’ve probably already heard that the The Orrin G. Hatch–Bob Goodlatte Music Modernization Act (MMA) has been signed into law. At this point, every major music rights organization has published their praise of the legislation, which will create a blanket streaming mechanical license for Spotify, Apple, Amazon, Google, Tidal, and other on-demand music streaming companies; bring pre-1972 sound recordings under federal copyright protection and open up a flow of royalties from digital services to the artists (or their estates) and copyright owners of those recordings; and codify an allocation of digital radio royalties to music producers. Title 1 of the MMA, also called Music Modernization Act, sets out provisions and guidance for the formation of a collective mechanical licensing body to be called the Mechanical Licensing Collective (MLC). The MLC will administer a safe harbor blanket license for the streaming of musical works, collect licensee fees from licensees, prepare and remit statements of earnings to songwriters and music publishers, and make royalty payments to the same. The MLC will join the ranks of SoundExchange, ASCAP, BMI, and SESAC in the sense that it will become a powerful representative of the collective rights of thousands of music creators and rights-holders in the United States. However, unlike its counterparts, the MLC will be born in the 21st century. And as a 21st century collective licensing organization, the MLC has the unique opportunity to implement, at inception, 21st century business practices utilizing 21st century best practices and technologies. 1.) Provide its members with a data BI (business intelligence) dashboard to better visualize their mechanical royalties data and dive deeper into their statements. The dashboard could enable forecasting based on projected streaming activity (maybe offer scenario planning, which makes it possible to attract loans against future royalties). They could ingest data from a service like BuzzAngle to offer estimated royalty accrual in real-time so that members who are artists can see the net effect of playlist streaming campaigns on their bottom line and choose to invest more into campaigns in virtual real-time. 3.) Require DSPs who take advantage of the safe harbor streaming mechanical license to recommend (and provide guidance) to aggregators and labels to provide composition ownership information in their metadata when uploading releases to the DSP. This can be done with custom parameters in DDEX ERN or via the new DDEX MWN (Musical Works Ownership) message schema. 4.) Work with the U.S. Copyright Office to create an integrated musical works registrations process so that works are simultaneously registered with the MLC and LOC. 5.) Expand the statute of limitation period on unclaimed royalties to 10 years and hold funds in an interest-bearing escrow account from which 25% of the interest flows to the general fund of the MLC and 75% of the interest is paid to the payee, along with the balance of unpaid royalties, once the payee has come forward or have been found. 6.) Commission an annual audit and publish the findings to members. 7.) Use blockchain, where applicable. 8.) Remit statements and payments monthly when a member opts to receive direct deposits and electronic statements. 9.) Display assessed administration fees on royalty statements. 10.) Do not implement high usage weights or bonuses. There is a lot of misconception out there about what we do at TuneRegistry. Our weekly live product tours demystify much of the mystery. Have you checked one out? Sign-up at http://www.tuneregistry.com or watch today’s recording. Over the last few years, I’ve been researching and sounding the alarm on the growing problem of unclaimed music royalties or so-called “black box” royalties. I’ve estimated the value of the collective black box to be nearly or above $2B. 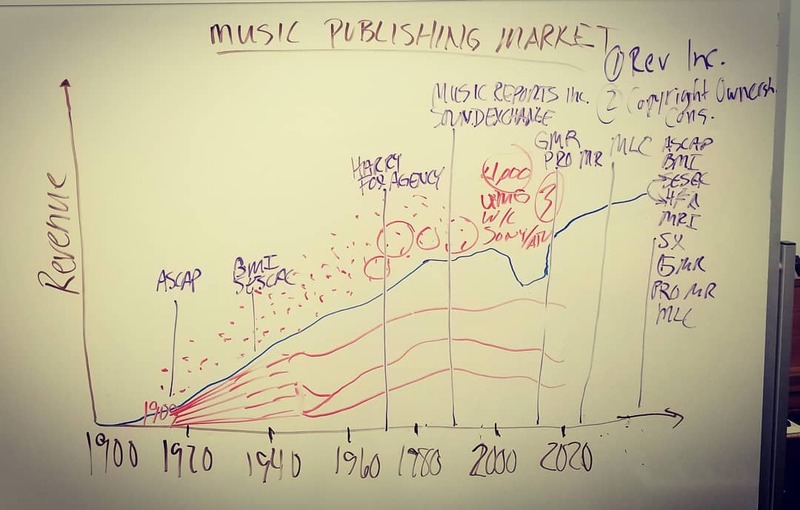 I’ve presented research, have written extensively and have spoken publicly about this problem, which disproportionately affect independent and legacy songwriters. Despite my fanfare, industry insiders and stakeholders have shrugged or have blatantly called my estimates a gross overstatement and have held that unclaimed royalties are at best a few hundreds of thousands of dollars and mostly owed to “long-tail artists” who do not quite understand how the music industry works. This is a very myopic, company-focused view. These talking heads tend to speak from their position of administering one right for some music licensees. My estimates are looking at multiple rights administered by multiple entities, which would make the collective black box exponentially greater than the escrow account of a single entity. $1.5B of royalties (I still believe this number is higher) is sitting in, probably, interest-bearing escrow accounts while songwriters and small-to-medium sized music rights holders struggle to understand how and why. Last year I founded RoyaltyClaim, the world’s first search engine of unclaimed music royalties and licenses, which has recently been acquired by Made In Memphis Entertainment. 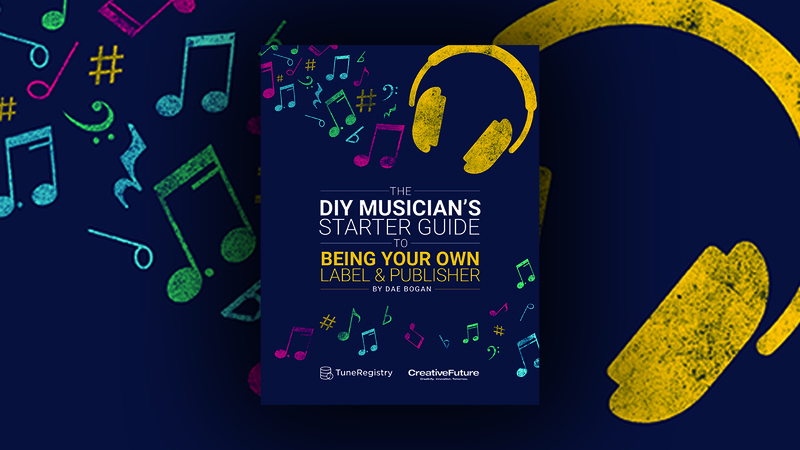 We’ve helped DIY musicians and rights-holders identify thousands of unclaimed entitlements in just a few months, with one paricular music producer uncovering nearly $150k in unclaimed royalties due to him. The problem is huge. The system is not transparent. And the people in charge could do a better job communicating these things to rights-holders. I’ve been on many panels at music industry conferences where I’ve maintained my position that DIY musicians and small-to-medium sized rights-holders are owed hundreds of millions of dollars, if not several billion, and often my co-panelists have taken a position that my claims are sensational and overstated. Check out my commentary on black box royalties here. Dae Bogan will join Shanna Jade (Director of Brand Strategy, Stem) and Rob Weitzner (Head of North America, The state51 Music Group) on the panel “Future of Rights Technology” on Wednesday, June 20th at A2IM (American Association of Independent Music) Indie Week conference taking place at the Clemente Soto Velez Cultural and Educational Center in New York. The panel will be moderated by Anna Siegal, SVP FUGA North America.